We are a Congregation of women consecrated to God in the Church to evangelize through the instruments of social communication. 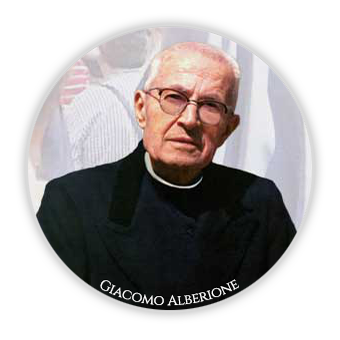 Founded in Alba, Italy by Blessed James Alberione on 15 June 1915, we are part of a group of Institutes he started that all together make up the Pauline Family. Ever attentive to the signs of the times and to the changes taking place in the 20th century, Fr. James Alberione intuitively understood the special role woman could play in society and in the Church. He also grasped the unique contribution that consecrated women could make to evangelization in the far-reaching and complex world of communications. 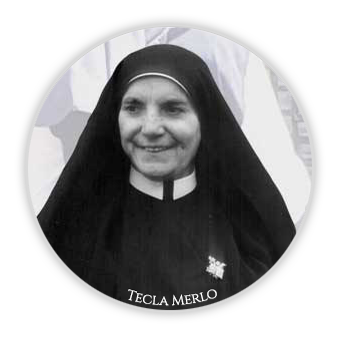 Under the wise and prophetic guidance of Sr. Thecla Merlo, the Institute concretized the charism given to Fr. Alberione by God. The name Daughters of St. Paul (Paulines) indicates the profound relationship between the members of the Institute and St. Paul. In the footsteps of the Apostle and animated by his same spirit, we strive to live and proclaim Jesus Master, Way, Truth and Life in the modern areopagus of communication. St. Paul is the inspiration and model of our life, spirituality and mission. Today, the Institute is present and active in 52 nations on all the world's continents.